The McGinnis Ferry Road entrance to DeerLake is controlled by a security gate. This gate can only be opened by residents with a gate controller. New gate controllers can be requested from Denise Griffith at AMG. Please be aware that gate controllers are only available for registered and company-provided vehicles of resident DeerLake homeowners. Selected DeerLake HOA vendors may be issued gate controllers at the discretion of the Board of Directors. Homeowners who sell their homes must turn over their gate controllers to the purchasers. 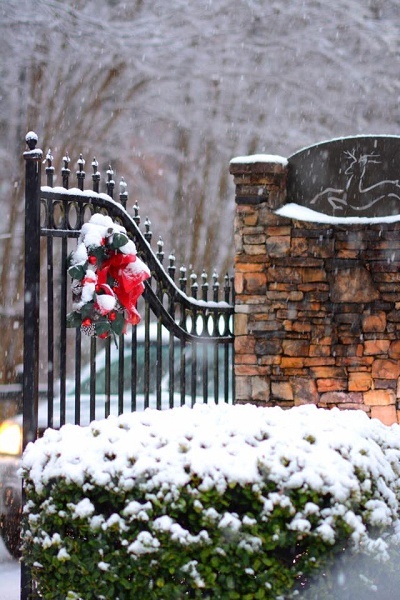 Non-resident DeerLake homeowners who rent their homes must turn over their gate controllers to the renters. Gate controllers that are not turned over will be deactivated. Please note that the gate controllers have a battery. If your gate controller stops working or if it only opens 1 gate and not the other, this is a sign that you need to change the battery. You should change the battery first before requesting a new controller. Each house in DeerLake is allowed 2 controllers with no documentation. If you would like additional controllers, you must provide Proof of Vehicle Registration for that vehicle, with your DeerLake house address. You must show ALL VEHICLE REGISTRATIONS for your DeerLake household at the time you request an additional remote. For example, when requesting a third gate controller, you must show all three vehicle registrations. 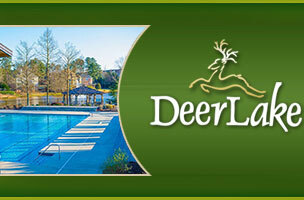 Gate controller service is provided as a convenience by DeerLake volunteers. Individuals exhibiting rude or discourteous behavior will be required instead to contact DeerLake's management company for gate controller issues. Inappropriate behavior may result in suspension of gate access privileges at the discretion of the Board of Directors. Any changes to the above policy are at the discretion of the Board of Directors.